Anil Agarwal, founder editor of Down To Earth, was diagnosed with cancer in early 1994. In "My story today, your story tomorrow", (November 16-30, 1996) he wrote, "My cancer, like most cancers, is related to environmental pollution". His words still resonate. In 2013, WHO declared outdoor air pollution as group 1 carcinogen. Given Delhi's toxic air, it is not surprising the state has the highest number of lung cancer cases in India. 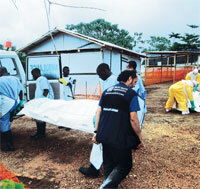 Ebola virus, which first surfaced in Sudan and Zaire in 1976, made a comeback in Zaire in 1995, killing 250 people. In cover story, "What a bloody mess" (June 1-15, 1995), we asked: "Will the world learn a lesson from this disaster?" Apparently, it has not. The virus reappeared in 2013 in Guinea, this time spreading farther and claiming 10,000 lives worldwide. Since 1976, there have been two dozen Ebola outbreaks, yet treatment has not moved beyond experimental stage. The Mahatma Gandhi National Rural Employment Guarantee Act (MGNREGA), 2005, was launched by the UPA government to provide 100 days of employment to rural families. 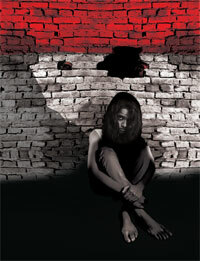 The scheme saw an increased participation by women ("How women seized NREGA", November 1-15, 2010). Of late, it is losing its charm. People's participation has halved in the past few years ("The poorest shun MGNREGA", January 16-31, 2013). Experts blame it on delay in payment. NDA government has further slashed funds for the scheme. In the 1990s, sandalwood in India got an unlikely fan-a brigand named Veerappan ("Catch me a colossus", October 1-15, 1997). His smuggling activities resulted in a large-scale destruction of sandalwood, what Anil Agarwal called the "effect of Veerappan phenemomen". 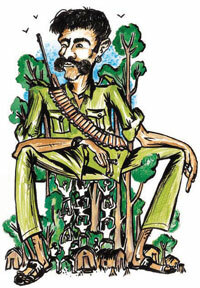 Veerappan may be long dead, but smuggling has depleted the valuable tree to the point of near extinction. When Rajiv Gandhi launched the Ganga Action Plan in Varanasi in 1986, he stated, "We shall see the waters of the Ganga become clean once again" ("Purifying the Ganga", September 16-30, 1992). Thirty years later, his words remain as hollow as the promises of subsequent governments to clean the river. 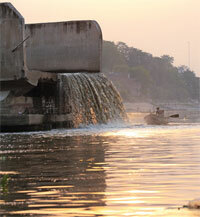 As it flows from the Himalayas into the Bay of Bengal, the Ganga "dies, not once but many times" ("Can we save Ganga?" July 16-31, 2014). Our cover story analysed why pollution is so persistent and suggested ways to clean it. Bollywood actor Deepika Padukone was applauded for coming out in the open about suffering from depression. But few people battling mental illness-there are 19 million such people in India-come forward to share their experience. Our cover story, "Troubled, beautiful minds" (August 1-15, 2013) discussed where the government lacks. Last year, the government introduced India's first mental health policy aimed at providing quality treatment to mentally ill people. 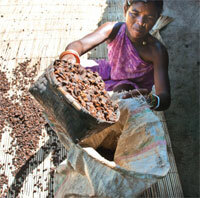 The Forest Rights Act was introduced in 2006 to recognise rights of forest dwellers. Down To Earth has covered enforcement of this landmark Act, meant to conserve the environment while ensuring development of tribals. Our reports show the Act has hardly met its objective ("How government is subverting Forest Rights Act", November 1-15, 2010). In 2010, it came to light that only 1.6 per cent of the 2.9 million claims under the Act recognised community rights guaranteed under the Act. From the immersion of chemical-laced idols to creating an ugly nexus of noise and noxious smoke on Diwali to poisoning the Ganga and Yamuna with untreated industrial and domestic effluents, the Hindu way of life is degrading the environment so intrinsic to the religion ("Pollution of Hinduism", February 1-15, 2000). We highlighted how authorities tend to ignore these issues fearing they might hurt religious sentiments. The situation has not changed much 15 years later ("Can faith heal? ", February 1-15, 2013). The only improvement is that some lakes have incorporated special immersion sites in their lake conservation plan. Delhi boasts the world's largest fleet of CNG buses. Achieving this was not easy. It took decades of right-to-clean air campaign, public interest litigation, Supreme Court orders and overcoming efforts of auto-makers to discredit CNG. 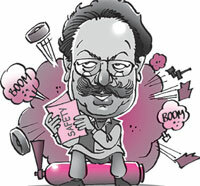 ("The CNG sabotage", March 1-15, 2001). Sadly, diesel vehicles still outnumber CNG buses. Today, Delhi's toxic air is making global headlines once again. "Are droughts here to stay?" asked our cover story dated June 1-15, 1992. That was the year when large parts of the country were grappling with drought, despite almost normal rainfall. 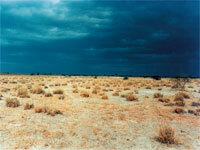 Since then, drought has gripped some or the other part of the country almost every year. Through articles and editorials, Down To Earth has warned time and again that we must manage our water resources and introduce better coping mechanisms to avert such disasters ("Standing the test of drought", January 1-15, 2000; "Bleak future", October 16-31, 2001). But the government has failed to drought-proof our agriculture and economy. The Centre has been touting river-interlinking projects as a solution to the recurring problem of drought. In 2012, the Supreme Court gave a go-ahead for such projects, despite growing evidence to show how these are detrimental to the environment. We have published several articles showing how such projects are drawing flak in other countries and are failing ("Riverlinking criticised", January 1-15, 2003; "Weak link", March 1-15, 2015). In 2006, Down To Earth travelled to Dantewada, epicentre of the banned SalwaJudum, and unearthed the state's ulterior objectives: it was using the campaign to pit tribals against each other and thereby displace them and make land acquisition easier for industrialisation ("Red alert", October 31, 2006). Two years later, the then Planning Commission indicted SalwaJudum and said land alienation and poverty among scheduled tribes have contributed to the growth of Naxalism. In 1997-98, when El Nino developed in the Pacific, it was called the worst of the last century ("Winds of change", December 1-15, 1997). 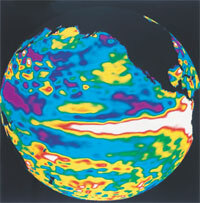 The weather event caused severe drought, forest fires and crop loss in several countries ("Global havoc", December 1-15, 1997). Scientists were clueless about the extent of damage it could cause. Since then, El Nino has devastated the world five times, each time causing drought in India. Weather scientists continue to be clueless about the weather phenomenon and fail to accurately forecast it ("Pray before you sow", July 1-15, 2014). In 2014, when WHO warned that resistance to antibiotics is spreading as a major public health threat, the Centre introduced a policy to restrict the sale of antibiotics to curb the growing resistance. The move seemed impractical in the Indian setting where there are no checks on over-the-counter sale of antibiotics. We spoke to experts in "Fatal resistance" (October 16-31, 2011) and offered ways to curtail the irrational use of drugs. While the government is yet to act on any of the suggestions, in 2014, our correspondents, along with Centre for Science and Environment researchers, found that poultry meat could be churning out robust microbes that could render all antibiotics ineffective ("Hatching superbugs", August 1-15, 2014). 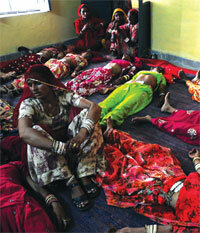 Sterilisation camps flout all guidelines to bring down the fertility rate. Counselling on birth control methods often turns into a means to impose family planning on the poor ("When birth control means business", July 17, 2012). Following deaths of women who underwent sterilisation in Chhattisgarh last year, our investigation ("Operation cover-up", December 16-31, 2014) exposed flaws in India's family planning approach. In our first issue, we reported about Earth Summit, where governments agreed to the United Framework Convention on Climate Change. 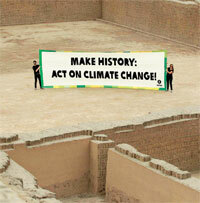 Since then we have been following international negotiations towards reducing carbon emissions. But it appears world leaders are not serious about climate change: most meetings end up in watered down commitments; the North remains reluctant to transfer technology ("Cop-out", January 1-15, 2015). Heavy rains and landslides devastated Uttarakhand in 2013. Next year, floods ravaged Jammu and Kashmir. The Himalayas are the world's youngest mountain range, prone to landslides and flash floods. But unchecked construction, mining, choked catchment areas and hydel projects have made it hazardous. We have been highlighting the issues since 1998 ("Is Tehri dam safe? ", January 1-15, 1998). Now Uttarakhand is pushing for more dams; Jammu and Kashmir is yet to recover catchment areas. 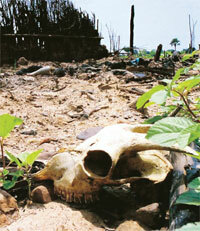 In 2001 Down To Earth travelled to Kerala's Kasargod district and found that the high cases of deformities and diseases in Padre village was due to spraying of endosulfan pesticide on cashew plantations ("Children of endosulfan", February 16-28, 2001). Following a study, the Centre and the state banned spraying of endosulfan, only to lift it within months ("Endosulfan conspiracy", July 1-15, 2002). 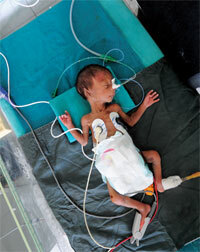 Kerala again banned endosulfan in 2005, but the pesticide is widely available in neighbouring states. In 2008, a multi-crore rupee organ scam hit the headlines. 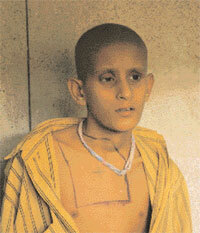 The media went into overdrive, splashing sordid stories of the labourers who were duped into donating kidneys. 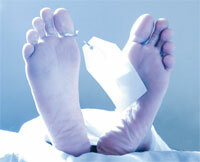 But we asked a different question: Is the country's Organ Transplant Act adequate? Following the incident, the government amended the Act to widen the donor pool and prescribe stringent punishment for commercial dealing in human organs. Unfortunately, many say, the law is not stringent enough. In 2007, we analysed the benefits and cost of waste disposal system. 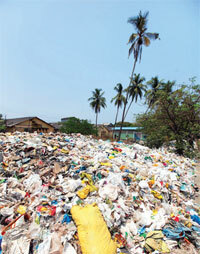 Businesses want to burn garbage to produce electricity. 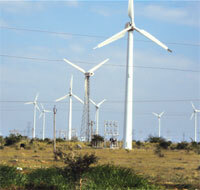 Environmentalists say this is not viable, given Indian conditions and toxic emissions. India should have amended its Municipal Solid Waste Rules of 2000 by now to address these issues. But it has not. The result is increasing conflicts between people and urban bodies ("Stench in my backyard", September 1-15, 2012). In our cover story in May 16-31, 2012, we discussed how nations surrounding the Arctic, India and China, are in a frenzy not to let go of even an inch of their territory and the huge natural resources trapped beneath it. We asked, "Is Arctic rush worth it?" Scientists warn that locked in its permafrost is twice as much carbon as in the atmosphere. 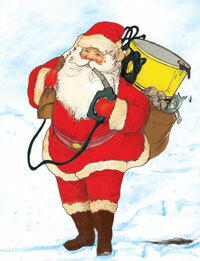 Freeing up of this carbon and access to more hydrocarbons will accentuate global warming. A recent study published in Nature in April 2015 underscores our fear. It says 1,330-1,580 billion tonnes of carbon is stored in permafrost in the northern hemisphere, which is likely to be released over many decades. These emissions would translate into an additional climate warming of 0.13-0.27oC by 2100, and up to 0.42oC by 2300. In 1992, our article "Wind power, up, up and down" had warned that poorly implemented governmental policies are preventing the full exploitation of wind power which could supplement as much as 25 per cent of the country's electric energy requirements. Two decades later, we published another article "Wind loses power", which shows Tamil Nadu has 40 per cent of the wind energy capacity installed in India, yet the state is reeling from power crisis. In 2002, the Supreme Court ordered state governments to collect money for projects that felled forests and deposit with Compensatory Afforestation Management and Planning Authority or CAMPA. But the Union environment ministry has no record of how much money is due from states. Every year 10 per cent of the amount accumulated under CAMPA is released to state CAMPAs, but states complain that the money they receive is not enough.